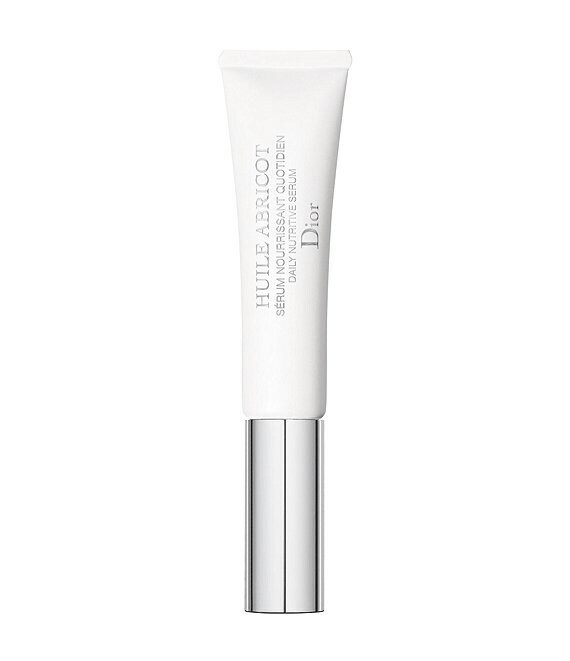 Each Step in the Dior Manciure routine has been enhanced to include the nourishing and protective Abricot ingredients of the cult favorite Crème Abricot. This rich serum penetrates the skin to deeply nourish and hydrate the cuticles while also smoothing and strengthening the nails, leaving no oily residue behind. Its unique formula protects and hardens the keratin within the nails through a blend of active oils, including argan oil, vitamin E, and apricot oil, which is rich in vitamins and minerals. Its soft precision brush applicator dispenses a drop on to each finger and can then be gently massaged in.